Is suitable for 550 square foot rooms making it useful in a wide variety of settings. 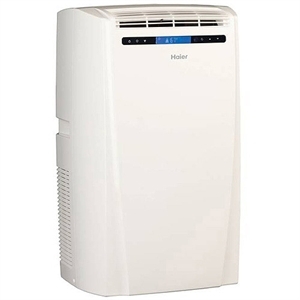 The Haier 10,000 BTU Portable Air Condtioner is suitable for 550 sq. foot rooms, making it useful in a variety of settings! The unit comes with 3 fan speeds and cool settings so you may easily attain the desired temperature you want. Also this unit features a timer that can be usedf to turn on the unit only when you need it. The electronic control air conditioner features multiple settings and a dehumidifying function so it won't leak.